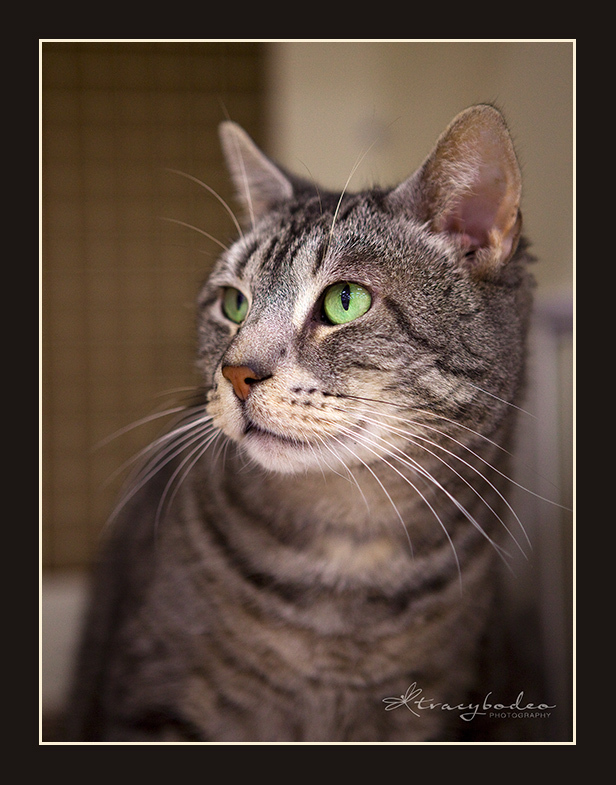 Meet handsome Rowdy- available for adoption at Petco through the Center for Animal Health and Welfare; Lehigh Valley cat, pet portraits. 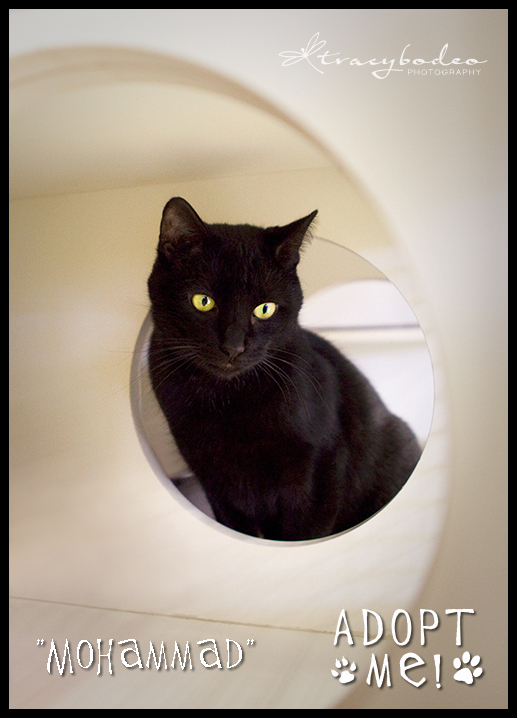 UPDATE: Rowdy has been ADOPTED!! 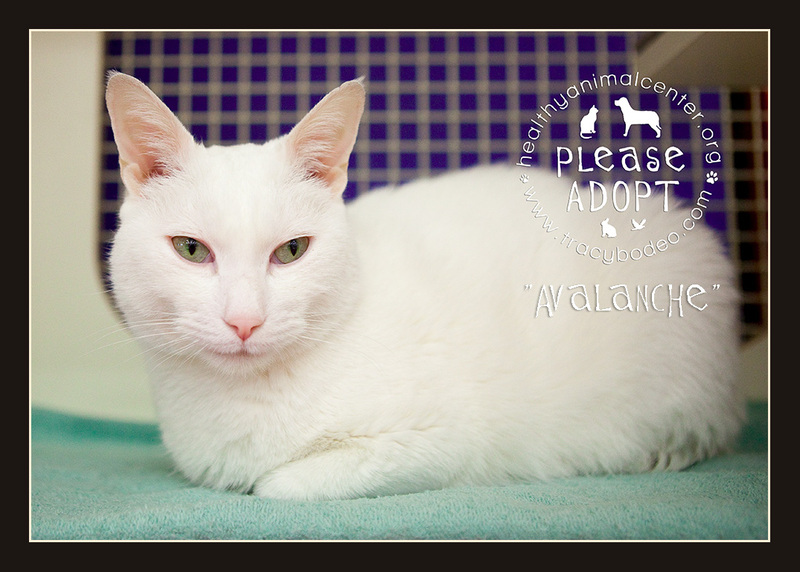 Rowdy is still waiting for his forever home at the Petco on 25th St. in Easton, PA. Rowdy is a sweet, calm cat (as opposed to what you might think by his name! ), who loves to have his head scratched. 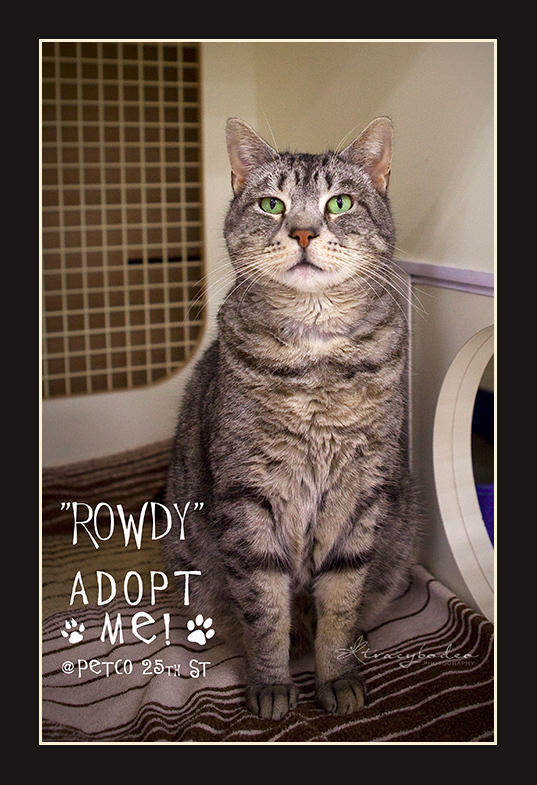 Please come meet Rowdy or one of his many friends that are waiting at the Center for Animal Health and Welfare. 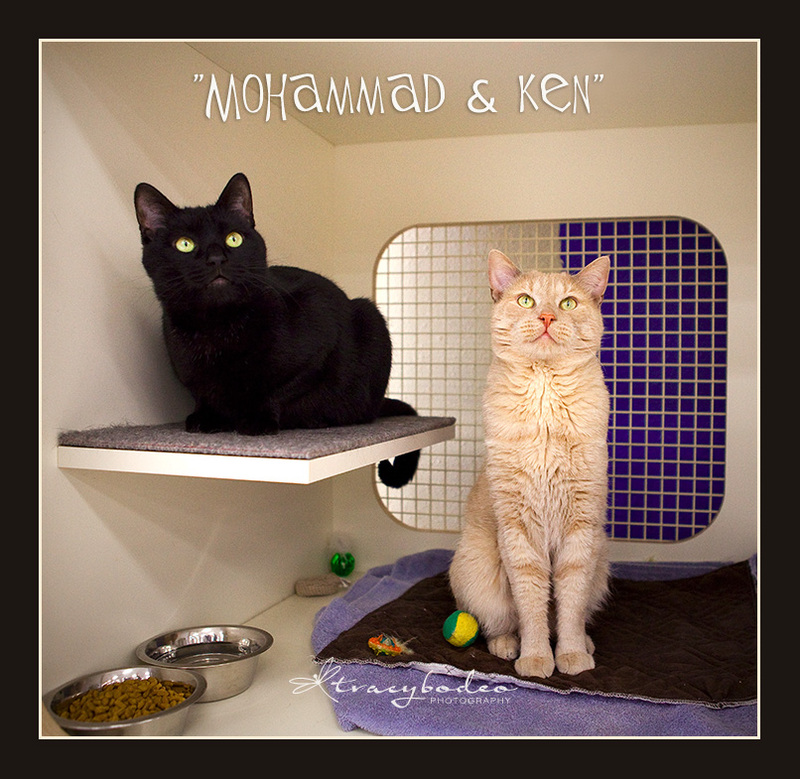 UPDATE: Knick and Muggs have been adopted! 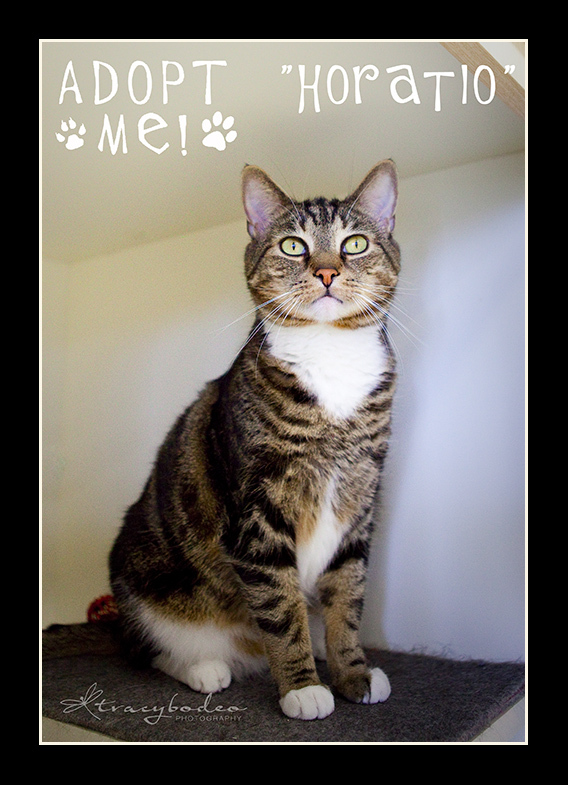 Muggs was at the Center for 4 years but has now found a great new home with a lucky family! 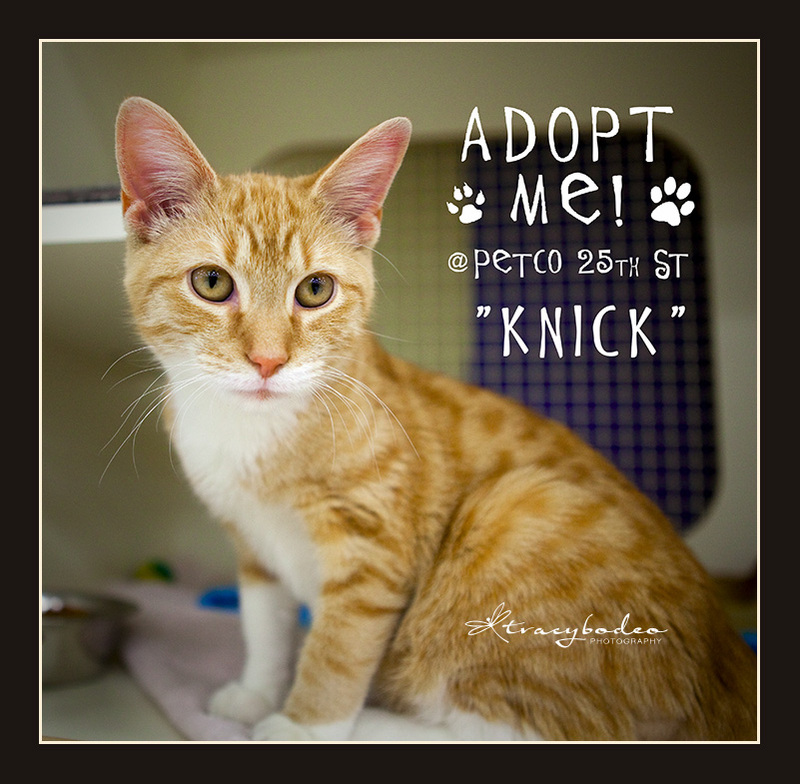 Knick is an adorable young (~3 months) little male. He loves being held and pet. 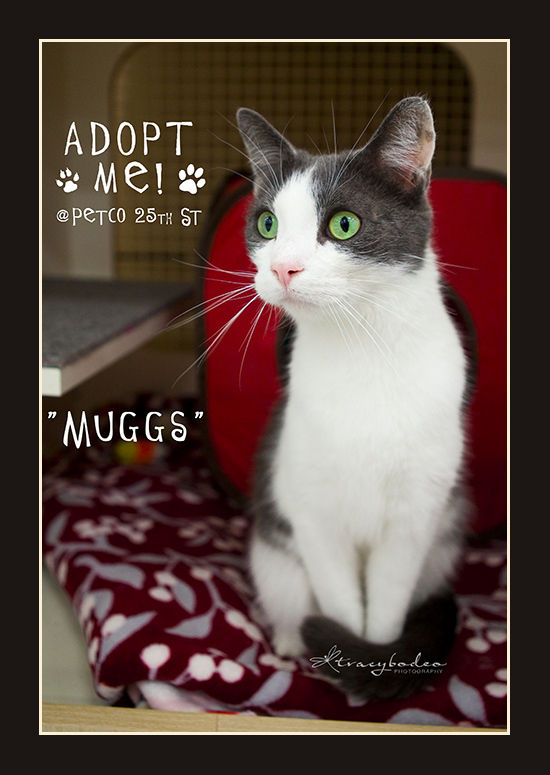 Muggs has been at the shelter for several years now and no one knows why. 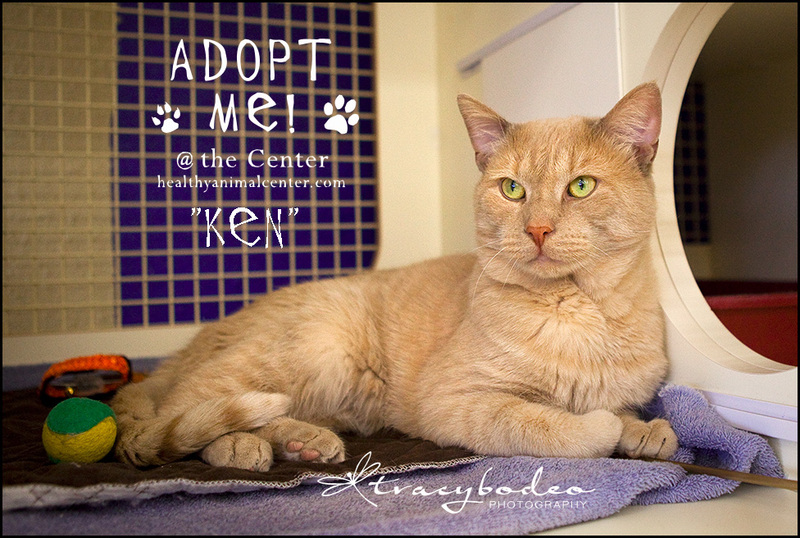 He is handsome, incredibly sweet and loves attention. 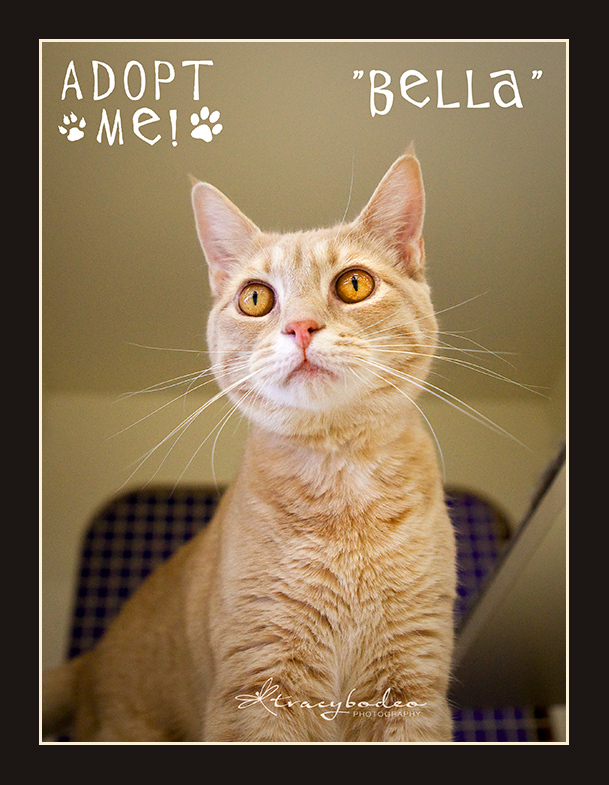 Come meet these wonderful, adoptable cats. 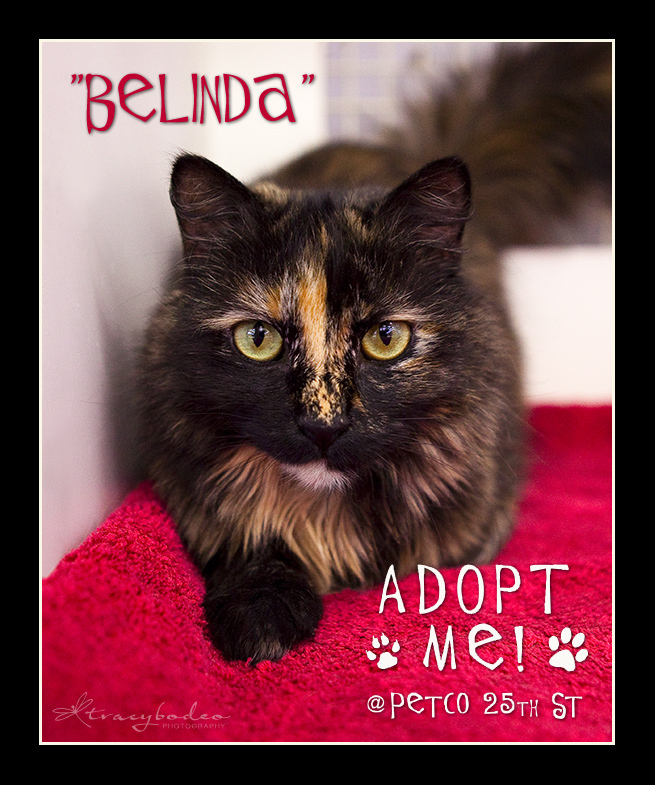 Meet the newest cats at Petco on 25th St. from the Center for Animal Health and Welfare. 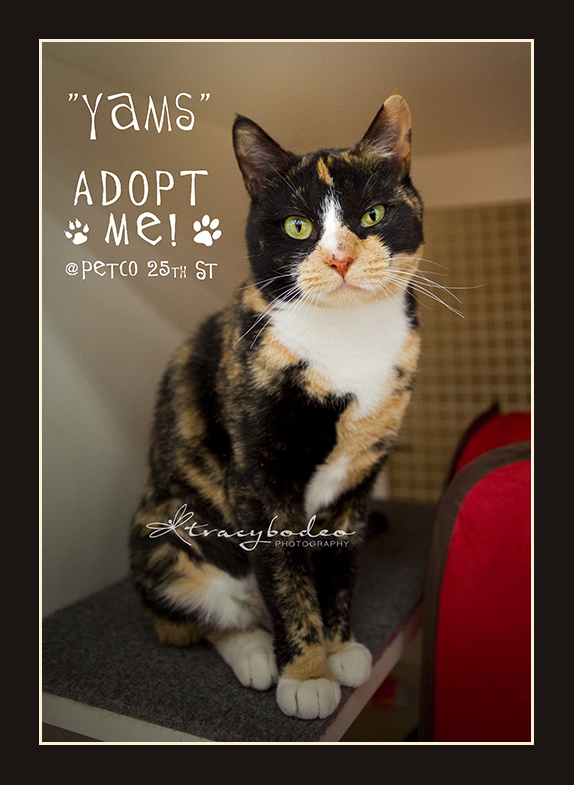 UPDATE (1/9/12): Elmo, Zazu and Yams (shown below) have all been adopted! 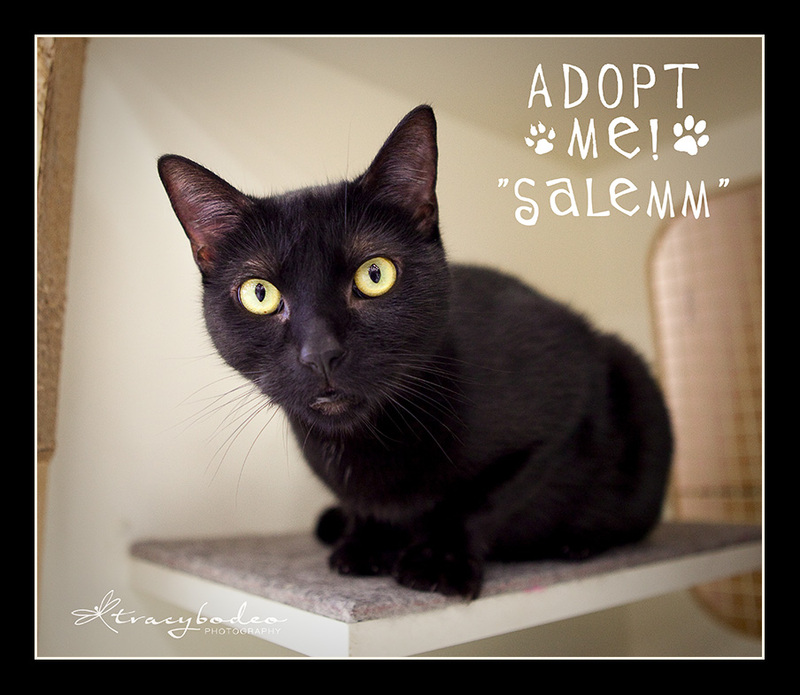 Here are the three cats currently up for adoption at Petco through the Center for Animal Health and Welfare: Yams, a really sweet little girl, approx. 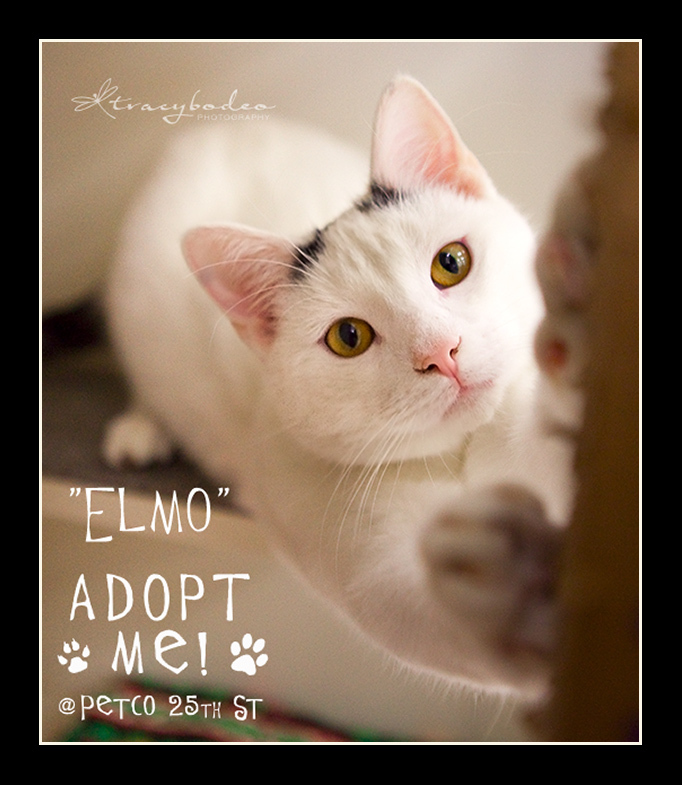 2 years old; Zazu, a gorgeous, sweet young male; and Elmo, a young, frisky male who loves to play (stretching against his scratcher, below). 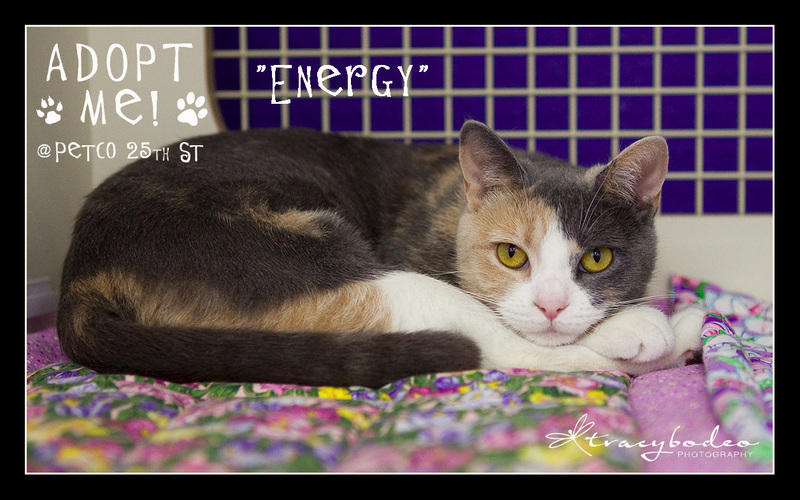 All are spayed or neutered, utd on shots and litter box trained. 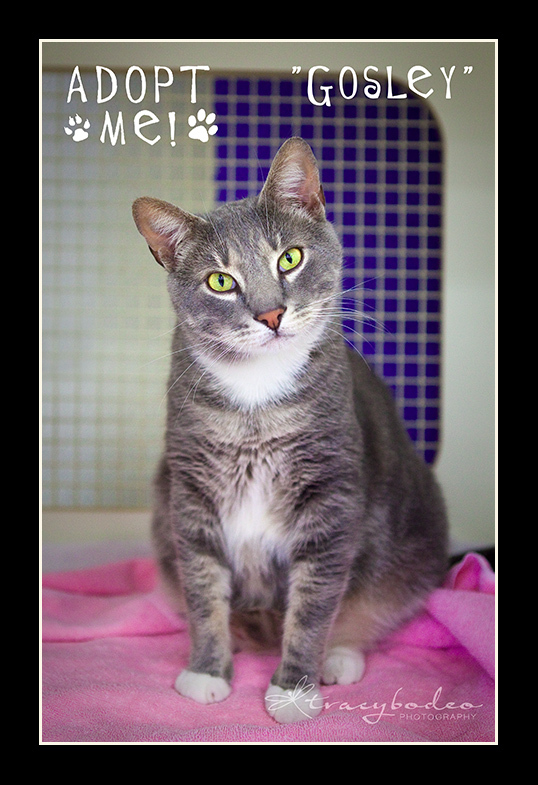 Visit Petco and meet these wonderful cats or come to the Center to meet any of their many fabulous friends also waiting to find forever homes.